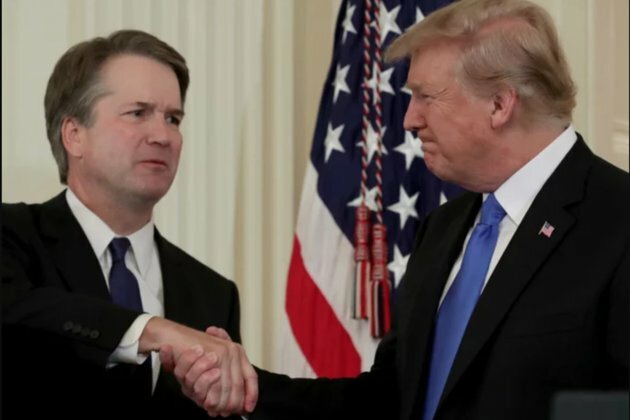 WASHINGTON, U.S. - The U.S. President Donald Trump named federal judge Brett Kavanaugh as his nominee for the countrys top court, after 81-year-old U.S. Supreme Court Justice Anthony Kennedy announced his retirement late last month. On Monday evening, during prime time, Trump announced that he had picked Judge Brett Kavanaugh to replace Justice Kennedy, who is set to retire on July 31. If approved by Congress, the 53-year-old U.S. Court of Appeals judge, Kavanaugh, a conservative with deep ties to President George W. Bush, would shift the nations highest court more towards to the right. The nomination of the former law clerk, who has emerged as a favorite of the Republican legal establishment in Washington, now sets the stage for a ferocious confirmation battle with Democrats. Further, Kavanaugh, like Trumps first nominee last year, Justice Neil Gorsuch, would be a young addition who could help remake the court for decades to come. In his prime-time televised White House announcement, Trump said, Judge Kavanaugh has impeccable credentials, unsurpassed qualifications and a proven commitment to equal justice under the law. He is a brilliant jurist, with a clear and effective writing style, universally regarded as one of the finest and sharpest legal minds of our time. There is no one in America more qualified for this position, and no one more deserving. Trump added, This incredibly qualified nominee deserves a swift confirmation and robust bipartisan support. Addressing reporters at the White House, Kavanaugh, who was joined by his wife Ashley, and daughters Margaret and Liza, pledged to preserve the Constitution and said, Mr. President, I am grateful to you, and I'm humbled by your confidence in me. Justice Kennedy devoted his career to securing liberty. I am deeply honored to be nominated to fill his seat on the Supreme Court. He added that a judge must be independent and must interpret the law, not make the law. A judge must interpret the Constitution as written. His address after Trumps announcement were filled with light-hearted stories, and other anecdotes, at the end of which, he made an appeal to the Senate that will confirm him. Kavanaugh said, I will tell each Senator that I revere the constitution. My judicial philosophy is straight forward - a judge must be independent and interpret the law, not make the law. A judge must interpret the constitution as written. If confirmed by the Senate I will strive to keep an open mind in every case. And I will always strive to preserve the constitution in the United States. Reports quoted a senior White House official as saying that Trump made his final decision on the nomination Sunday evening and informed Kavanaugh over a call. Then, on Monday, Trump reportedly phoned retiring Justice Kennedy to inform him that his former law clerk would be nominated to fill his seat. Kavanaugh has an Ivy League law degree and spent his undergraduate and law school years at Yale. He has been a judge on the federal appeals court in Washington since 2006 and was also a key aide to Kenneth Starr during Starrs investigation of President Bill Clinton. He worked on behalf of George W. Bushs campaign during the election recount in 2000 and served in the Bush White House. Close Trump aides have claimed that Kavanaugh was picked by the President because of his large body of jurisprudence cited by other courts, describing him as a judge that other judges read. Further, on Monday evening Trump signed Kavanaughs nomination papers in the White House residence. Experts believe that with Kavanaugh, Trump is replacing a swing vote on the nine-member court with a staunch conservative. With key decisions related to abortion, gun rights and Obamacare set to come up, experts also believe that Kavanaugh, who serves on the Court of Appeals for the D.C. Circuit, is expected to be less receptive to abortion and gay rights than Kennedy was. Not only has he taken an expansive view of executive power, but is known to have favored limits on investigating the president. Kavanaughs commitment to social issues like abortion has already been questioned by some conservatives, who have expressed concerns, noting his time serving under President George W. Bush as evidence he is a more establishment choice. However, his supporters have cited his experience and wide range of legal opinions. Democrats are now determined to oppose Trumps choice and the Senate confirmation battle is expected to continue for months leading up to Novembers midterm elections. If Democrats hold the line, Senate Republicans, who hold only a 51-49 majority, would be left with hardly any margin. Commenting on Trumps announcement, Senate Majority Leader Mitch McConnell called Kavanaugh a superb choice. He added that senators would start meeting with the nominee this week. Chairperson of the Senate Judiciary Committee, Iowa Republican Sen. Chuck Grassley, called Kavanaugh one of the most qualified Supreme Court nominees to come before the Senate' and 'a superb mainstream candidate. Meanwhile, the Democratic National Committee declared in a statement that the jurist should not be allowed anywhere near our nations highest bench. DNC Chair Tom Perez pointed out, Lets be clear: a vote for Kavanaugh would be a vote to rip health care from American families and deny women their constitutional right to make their own health care decisions. Meanwhile, Virginia Democratic Sen. Tim Kaine, said he would judge Kavanaugh according to his views on preserving the Obamacare law, abortion rights and civil rights, and serving as a 'check' on Trump himself. Kaine, who ran for vice president with Hillary Clinton in 2016, also argued that there should be no final confirmation vote until after the November midterm elections. Further, New Mexico Democratic Sen. Tom Udall blasted Trump for farm[ing] out the selection of his Supreme Court nominee to far-right interest groups. And Vermont Sen. Patrick Leahy said that [t]he Constitution doesnt direct the President to nominate justices to the Supreme Court with the advice and consent of the Federalist Society and the Heritage Foundation. That is the role specified by the Constitution for the United States Senate. However, North Carolina Republican Sen. Thom Tillis called Kavanaugh a mainstream and fair-minded jurist.' Oklahoma Republican Sen. James Inhofe praised him for 'respecting judicial restraint on environmental regulations.